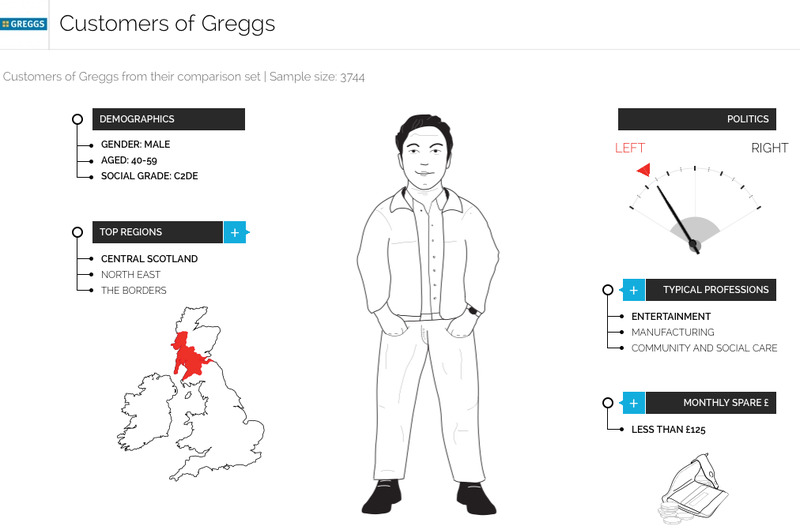 Everyone in the media stopped work today to play with the YouGov Profiler, a visualisation tool that pulls the survey company’s data into a profile of a typical customer for any given brand. What’s great about it is the way it confirms all the prejudices you have about who shops where. Greggs Man has less than £125 a week spare, and he probably works in a factory or the social services. 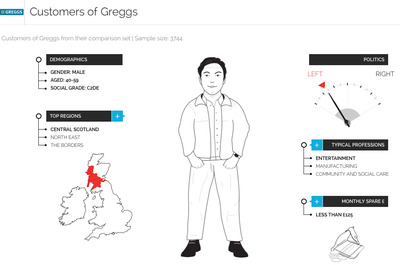 And now we’ve got the YouGov data to say that Greggs Man’s personality is “moody”, “accident-prone”, and “stroppy.” That’s literally in a database! Now look at who eats at Pret A Manger, the sandwich chain that has most of its branches in London and very few in the North. To borrow a joke from the comedian James Acaster, if you’re not familiar with Pret A Manger, it’s a fine French restaurant. 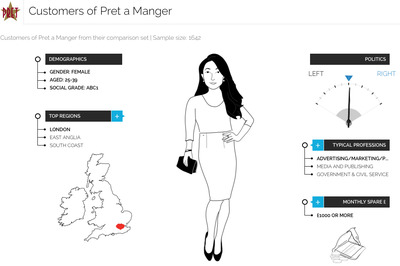 Pret Girl lives in London, has £1,000 a week to spend, and works in advertising! Just as you suspected. YouGov describes her personality as “control-freaky,” “self-absorbed” and “arrogant”. But then we knew that already.